I can’t help but begin this blog without referring to the famously bad Europe song, The Final Countdown. Why? Well for one, it’s in my head often and it’s not because I actually like the song. But, I do feel like it’s a fitting soundtrack for this, my final week at Thida, in Surat Thani, and in Thailand for that matter. It’s sad to go and certainly the emotions will take me by surprise in my final hours but as it stands right now, I’m ready to move on. My time here has been exceptional and will certainly be remembered as some of the best times spent in my adult life, however, it’s that point in time where a change is needed. All of the things that have become so commonplace to me will fade away into memory and will be replaced, firstly, by the old, and what now feels foreign, time at home. Certainly there will be some reverse culture shock once I step off the plane in freezing cold NYC. 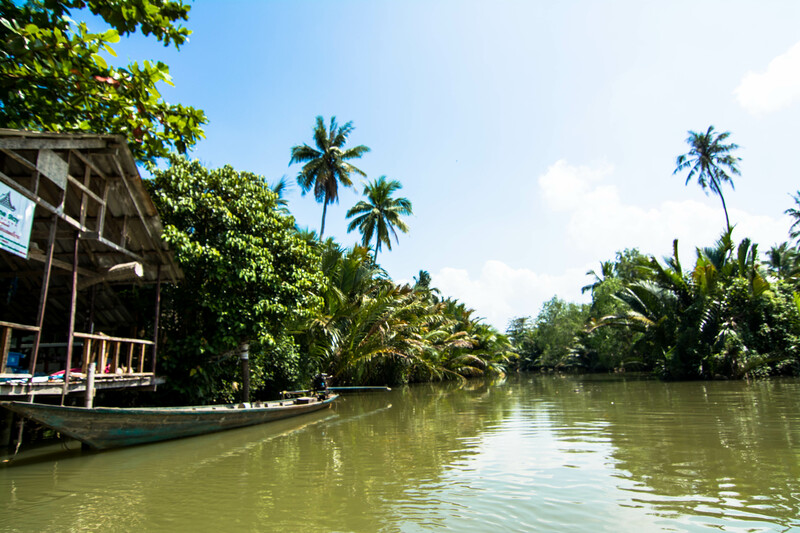 People will be speaking English, prices will be high, and life will be moving at a frenetic pace when compared to the ponderous pace sometimes found in the tropics of South East Asia. Where will all of the tuk tuks and scooters be? They’ll be replaced by SUVs and yellow cabs. Where will all of the 10 baht pork sticks and sticky rice street carts be? They’ll be replaced with pizza-by-the-slice and hotdogs. I’m looking forward to food and life in America but not its huge price tag. I’m looking forward to a lot, but I know that it won’t be long before I’m missing Thailand and its cheap laissez-faire lifestyle and ready to leave America and not look back. It’s been nearly 4 years since I first left America and I know a life abroad is what’s in the cards for me in the future. I’m excited to leave Thailand, go home to America, and leave again as soon as possible. When the weekend rolls around, you don’t always want to spend it in Surat. 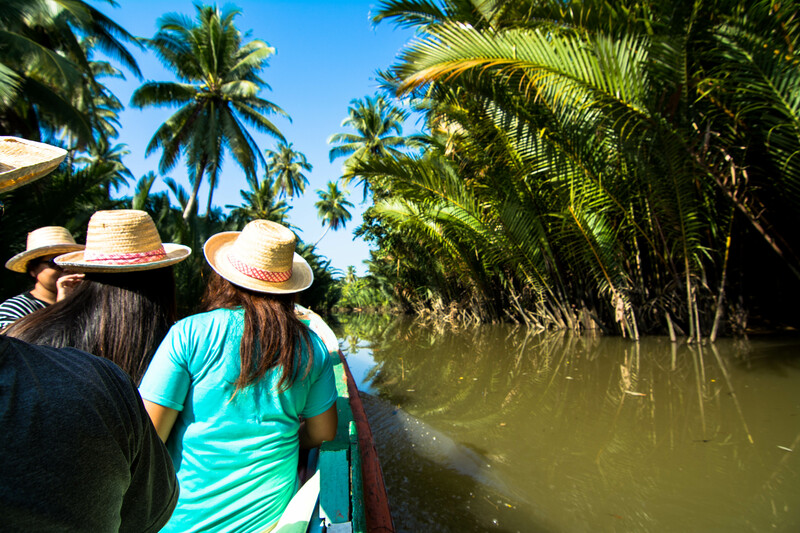 The most convenient, and often most (over) visited destination, is Khanom. Khanom is a small beach town near Surat, which is known mostly for the reggae bar Jambay. Jambay is a cool spot, with live music, decent food, a friendly vibe, and frequent parties. However, sometimes you want to get away from Surat for a bit of solitude and escape the usual social scene; it’s not easy to do this if Jambay is your Khanom destination. This past weekend, for the first time in 2.5 years, I tried to visit a different beach and some different places. If you head north from Khanom, you’ll find plenty of resorts and bungalows along the beach. About 15-20 minutes north of Khanom is Tongnian beach. Nice accommodations can be found here, some with ocean-front views; for 800 baht we had a room, which opened onto a balcony on the beach. There’s also some good seafood restaurants and another reggae bar called Jungle Roots, which has food, drinks, and some very friendly Thai bar owners. The beach here is quite nice, with a rock face to the left and a pier (not as nice) to the right. It’s also a really nice drive here through the jungle and the fishing area of Khanom. I wish I’d found this area earlier because I certainly would have visited the beach more often than I did. Although this is not the hotel where we stayed, I’ve pinned a nice place in googlemaps, on the beach, to help you locate the area. Yesterday, as one of the final activities in our MEP restaurant project, the P5 and P6 students had a chance to run their mock restaurants. Students were given 20 minutes to seat customers, give menus, take orders, and make bills for their diners. Students were given grades based on the level of English they used with regards to following the proper “restaurant script,” using polite indirect English, and being loud and clear. The students put a lot of effort into this activity by printing out pictures of food and bringing cups, plates, and utensils. It was a really rewarding day to see all of the students using the English they’ve been learning and practicing for the past few months. It was a very successful activity and Teacher David and I were really pleased to see how seriously the students took it and how well they performed. 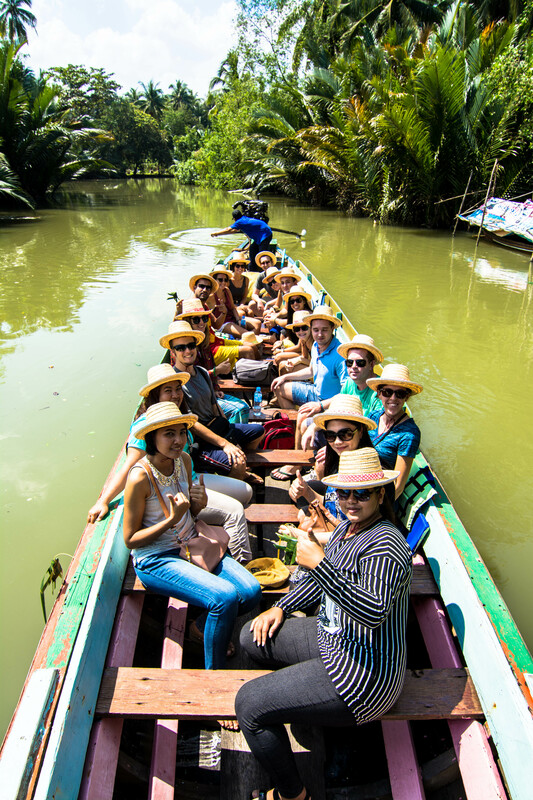 For our January 2015 Super English sponsored monthly event, we took a longtail tour of the canals in Surat Thani. We all met at 9:00AM and got into a longtail boat to visit a local homestay. Along the way we saw different birds, monitor lizards (which are always funny to see because the Thai word for monitor lizard is actually used as profanity “heaaaa-uh.” Think “hear” but a bit more forced with a speech impediment.). After a short boat ride, we stopped at a local homestay. At the homestay we had traditional Thai snacks and learned how to make some different handicrafts and foods. It was a great way to see some Thai culture and I think everyone really enjoyed it. As Teacher David and I are coming to the end of our joint-class restaurant projects, we’ve been editing the commercials the students wrote. This project has been a ton of fun and the kids have really enjoyed the commercial portion. Commercials range from sweet advertisements to teacher David as Helen of Troy to me as a murderous robber. One thing has remained consistent, though: they’ve all been funny! Click the link below to watch the A&B Korean Restaurant’s commercial. One thing, that you’ll notice in Thailand is how rude the students can appear to sound. It’s not even that they’re intentionally being rude, it’s just that they don’t know how to be polite in English. In Thai, it’s polite to say what you want very directly by just adding “krap,” or “ka” to the end of it. Example: “ow namplao” (I want drinking water) can be made polite by adding the above to particles (krap or ka) to the end. If you were to say something so directly in English, it might come off as being a bit rude. It’s even common to just say: “water,” instead of “I want water” in a restaurant situation, and it’s polite as long as you don’t forget the “ka” or “Krap” at the end. If your reply to “would you like anything thing to drink?” in a restaurant was simply “beer,” you might be looked at as someone with slightly poor manners. Something we do in English, to be polite, is to use indirect methods of communication (Do you have a pen? vs Give me a pen.) Lately, I’ve been trying to convey this to my students, whose usual method of asking me for candy is “Give me candy!” or if I’m lucky, “Give me candy….please.” I’ve been trying to do this primarily by using the restaurant as a platform for polite communication. It’s easy to get frustrated with the students and, at times, the adults in Thailand as well. Something we always have to remember though, is that it’s a different language and culture, and most of the time, they don’t even realize they’re being rude; often times, they just don’t know how to be polite, even if they intend their message to be so. This semester I’ve been trying to do a lot of projects. I have a very difficult class of prepubescent girls and motivation and positivity is not their strongest attribute. I’ve found that doing a lot of projects and independent work has improved the students English as well as motivated them. Teacher Dave (P6) and I are working together to coordinate this project. Students from both of our classes will work in groups of 4 to create their own restaurants. Each group was given a cuisine to learn about. Each group will think of a restaurant name and create a menu with 5 meals, 2 appetizers, 2 drinks, and 2 desserts; the students will also need to include descriptions and prices for everything on the menu. Cuisines include countries such as Italy, Korea, Japan, and Greece; 15 cuisines in total were given but Thai food was excluded. Students work together in class and at home researching their cuisines on the internet. Once the students have finished creating their menus, they’ll write, rehearse, and record short 30 second long commercials for their restaurant. Commercials should be funny, yet informative. Teacher Dave and I will record and edit the commercials. Once the commercials are finished, we’ll have an in-class showing so the students can see each restaurants’ video. Next, we’ll have the P5 and P6 classrooms turned into mock restaurants. Students will operate their restaurants by taking orders, describing dishes, and delivering meals to the other students who will be playing customers. This is meant to be a fun activity that gives students the opportunity to use meaningful language in a pretend restaurant environment. Finally, once the project is completed, we’ll have a food day in our classes. Groups will be awarded extra points for bringing real food into class. For example: The Italian restaurant group should bring a dish found in Italian cuisine, while the group with Japanese cuisine should try to bring a Japanese dish. This is of course not mandatory and only for fun. This will give the students an opportunity to try some of the different cuisines we have been discussing. It’s also a fun way to finish the project. Teacher Dave and I also plan to cook some American food and bring it in for the students to try!